Management Services & Development, Ltd. | Transfer the Ownership of Your Business…Quickly and Quietly… at the Right Price! This is the home page for Management Services & Development, Ltd., the easiest, and consequently, the most effective advisor for OWNERS of mid-sized businesses (Primarily businesses with revenues from $5M to $50M.) to engage for all valuation, financing, and ownership transfer services. There are many Business Valuation and Merger & Acquisition professionals available to advise business owners today. 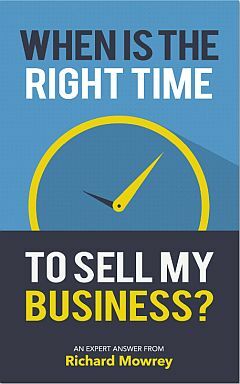 As you consider your options (including managing the sale of your business yourself), please reflect on two points. First: Only 1 of 6 businesses that are offered for sale in today’s market are actually sold. This includes many smaller businesses. However, in the middle market, only 1 of 3 business owners actually complete a planned transaction. These are terrible statistics! They are the result of poor preparation and inexperience in the specialized area of business valuation and sales. With some effort and the right advisor, you can dramatically change these odds. Second: On most websites for valuation or merger/acquisition services, you will find a listing of the type of services provided and the qualifications of the principals. On this site, it’s different! Here we will outline what we do, how we do it, and why we do all the things that make the process easy for the business owner. Our approach will quickly and quietly help you maximize the value of your business. When BOTH you and the business are ready…we will help you complete the most important transaction in your business career in a timely manner and on the best possible terms.